This is one really good Lasagne. My kids absolutely love it, I love it. My family and friends love it. Making a Lasagne takes a bit of time, but each step is quite simple. The Bolognese is simple, it cooks slowly for 2 hours, and can be made earlier in the day, no need to wait for the last minute. You could even make it the day before, just reheat when needed. The cheese sauce is super simple, and should be made close to when it is needed. 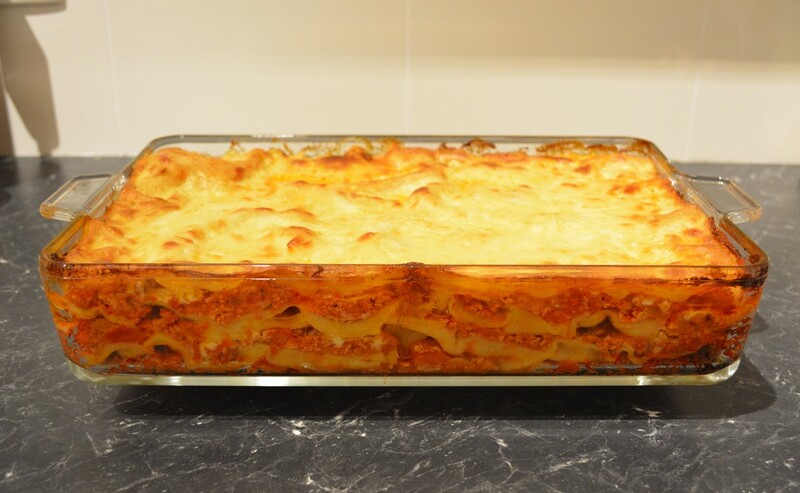 You can make one large lasagne, or two smaller ones. 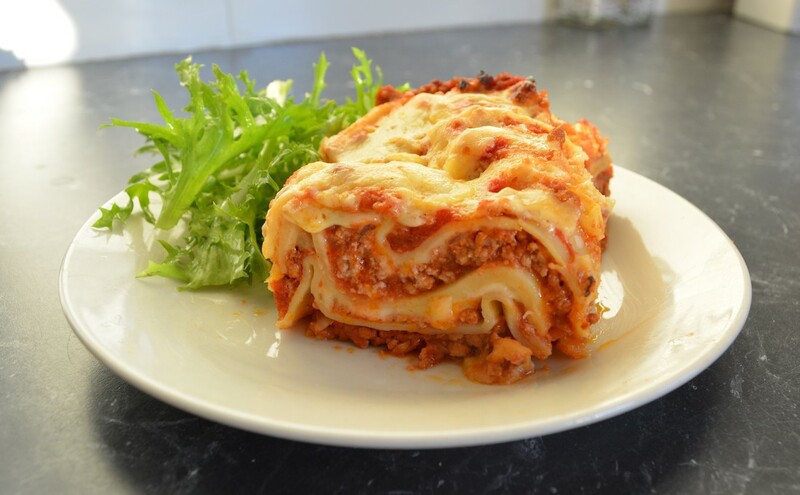 You can double the recipe and eat one lasagne today and freeze the rest for another day. 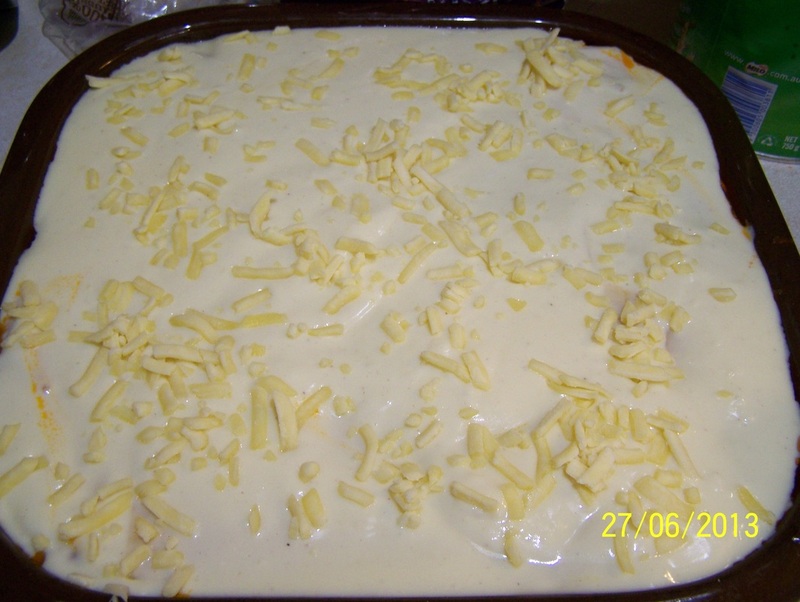 Recently I started freezing this lasagne, just before the baking step, so dinner is ready on those days when you are too busy to cook. To cook one I froze, I just put in the refrigerator overnight to start defrosting, then take it out of the fridge at least 4-6 hours on the day of cooking to defrost. You can place it back in the fridge until you need to bake it, if it defrosts quickly. Leftovers can be frozen, just thaw them in the refrigerator overnight before reheating. My kids have discovered thermoses this year and now take the lasagne to school in a thermos. I just heat it in the morning and they love it at school for lunch. This is one of those rustic dishes that can feed a lot of people and is great now with the cooler weather approaching. 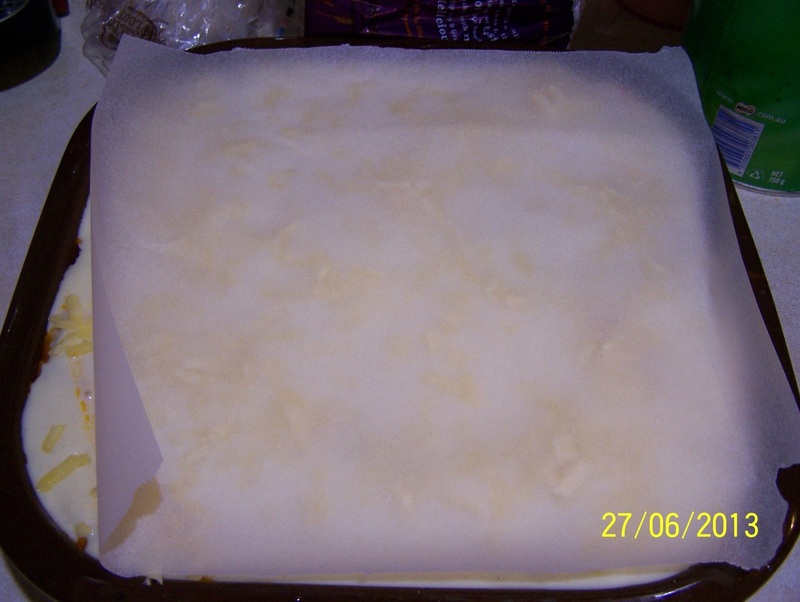 Try making a lasgane, it is so much better than store bought and is really quite easy to make. 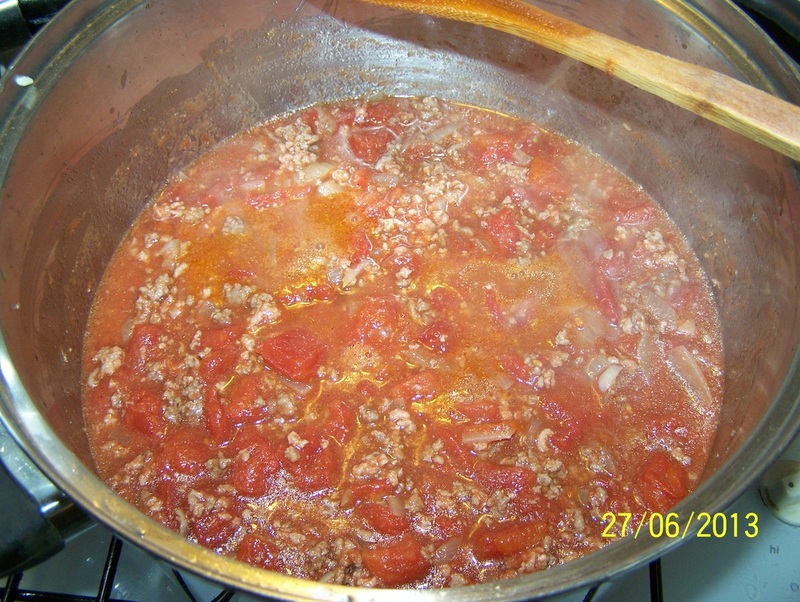 Make the Bolognese: Heat oil in a large saucepan over medium heat. Add the onion, sauté for 3-4 minutes. Add the garlic and sauté for another 1-2 minutes, or until onions have softened, but not browned. Add the pork and beef mince, you need to brown the mince and break up all the lumps using a wooden spoon. Add the mushrooms, if using, stir for a minute. Add the tomatoes, sugar, salt, vegeta and pepper. Bring to the boil, reduce the heat to low. 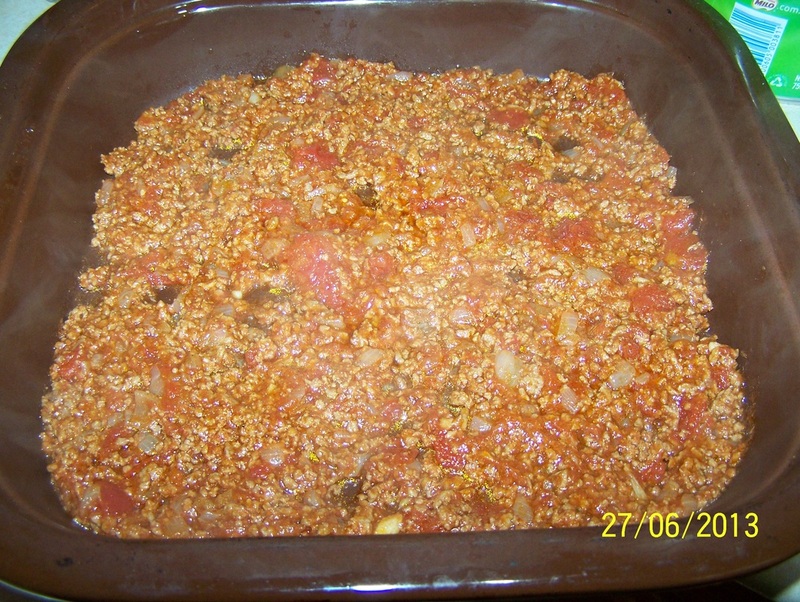 Allow the mince mixture to simmer away for 2 hours, uncovered, stirring every now and then. After 1 hour I taste the sauce for seasoning, add extra salt and pepper now, or herbs if you like more. 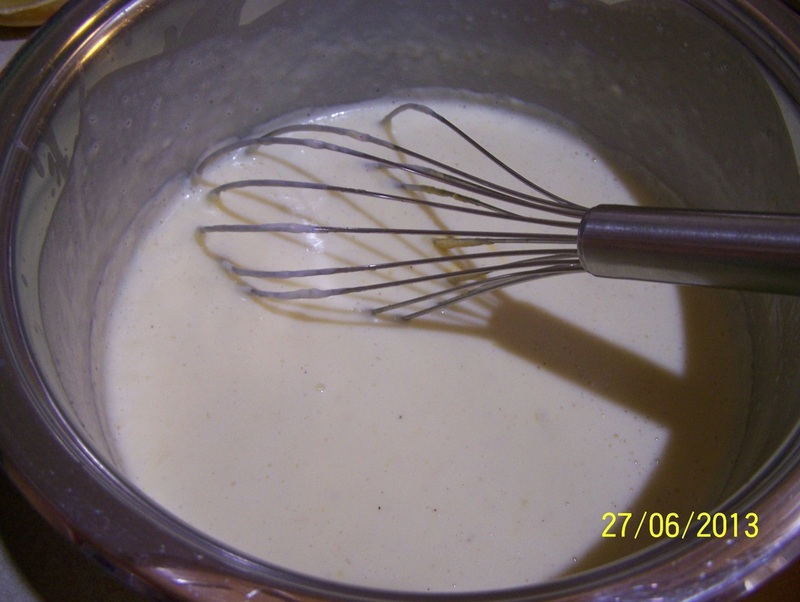 Make the White Cheese sauce: Melt the butter in a large heavy based saucepan over medium heat. Once the butter has melted and starts to foam, add the flour, whisk continuously for 1-2 minutes, to cook the flour. Add the milk a cup at a time, whisk it in to get rid of lumps, once it thickens add the next cup, until all the milk has been whisked in and the mixture is smooth. Cook, whisking continuously until the mixture just comes to the boil and thickens. Remove from heat, whisk in the Dijon mustard and the cheese. Ladle a little Bolognese sauce into the base of a lasagne dish approximately 35cm x 25cm, and 6cm deep. You need to put enough sauce to just cover the base. 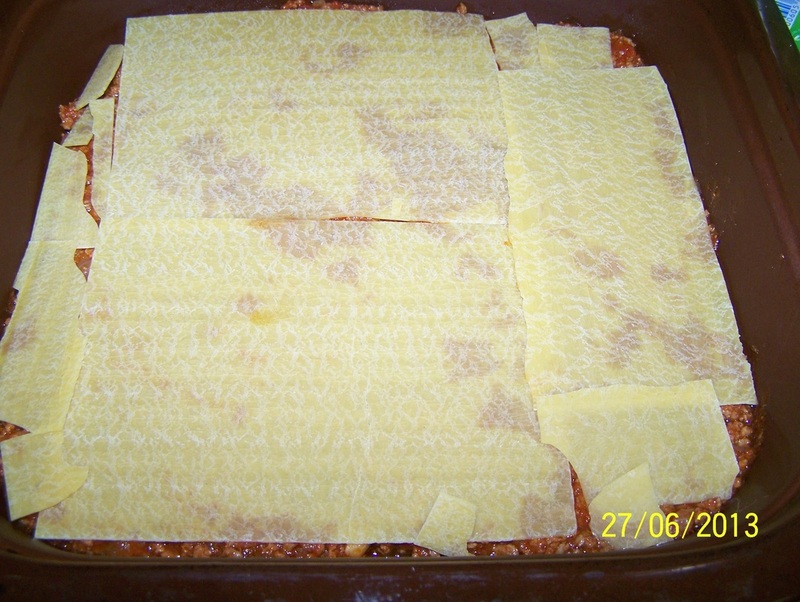 Place a single layer of lasagne sheets onto the mince. Ladle over half of the mince mixture, spread it out evenly. Next ladle over a little less than a third of the white cheese sauce, spread it out over the meat carefully. You can scatter over some cheese now, but that is optional. Place another layer of lasagne sheets on top. Ladle over the remaining Bolognese, spread it out evenly. Ladle on a little less than half of the remaining white cheese sauce, make sure you have enough left over for the top layer. Sprinkle with cheese again, if you like. Top with another layer of pasta sheets. Ladle on the remaining white cheese sauce. Spread it out to cover the lasagne sheets. Sprinkle with tasty cheese, as much as you like. 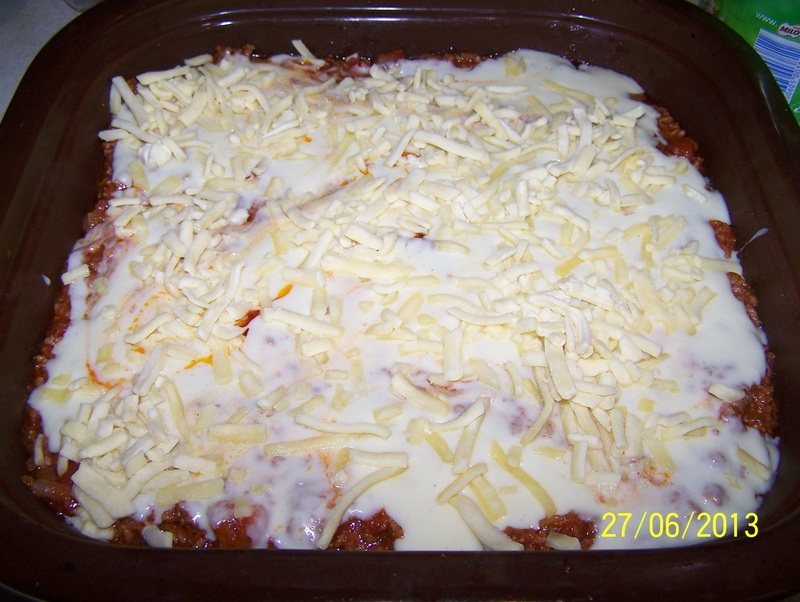 If you don't add cheese in the middle of the lasagne, add more cheese on top, than is pictured below. 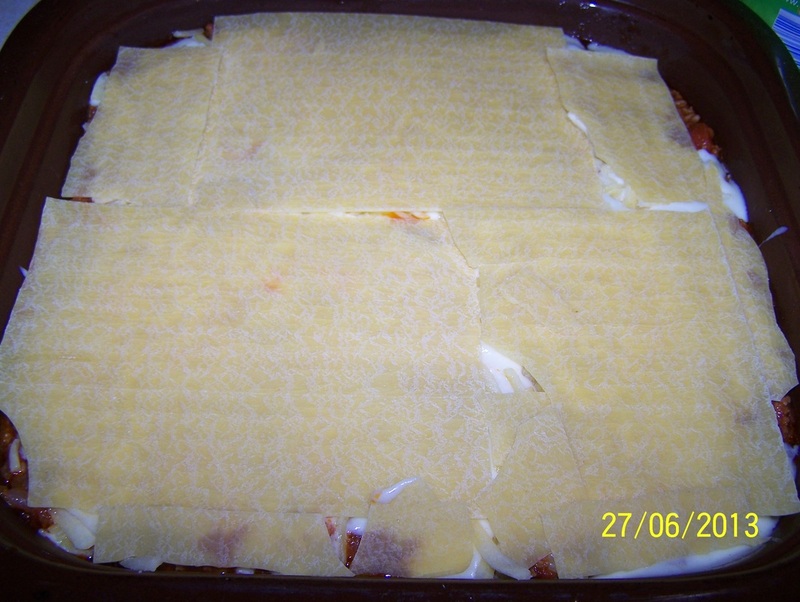 I like to put a layer of baking paper on the lasagne first as the cheese sticks to aluminium foil. 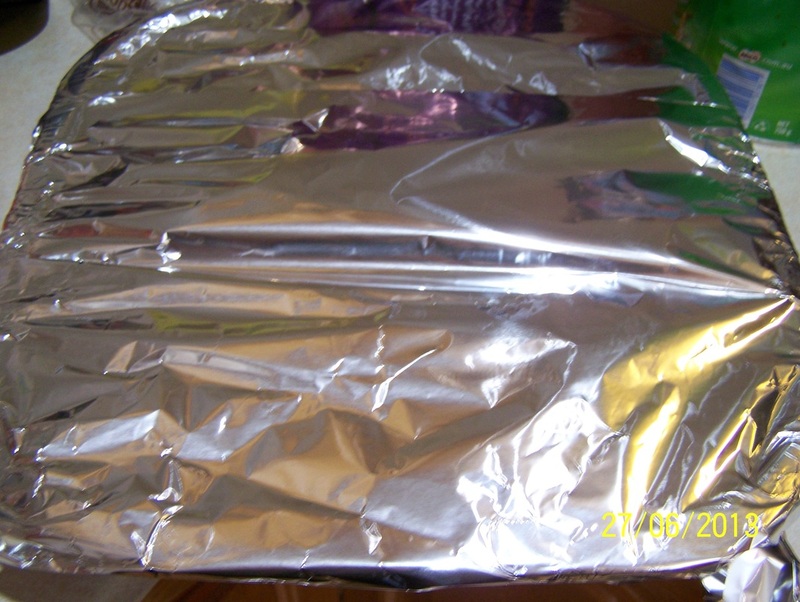 Cover and seal tightly with aluminium foil. Bake for 45 minutes. After 45 minutes remove the foil and baking paper and bake uncovered for 15 minutes or until golden brown and bubbling on top. Once baked, allow it to sit for 30 minutes, so it sets a little, if you don't it will still taste great, but the slices are sloppy. ​Serve with a green salad or some steamed broccoli. I prefer a green salad.